Bob McDemus, The Thermal Spray Guy, is the Founder of Thermal Spray Depot. 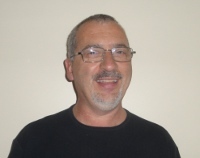 He is an advanced degree Materials Specialist with over 30 years of experience in material and coating engineering. He has worked with aerospace, medical and industrial manufacturing applications. Bob’s experience ranges from being a senior manager in a fortune 500 companies to being a partner in a small job shop. Some people still like the resume format. If that is you, read on. IF not, its time to go to another page. Thermal Spray Depot has partnered with niche companies that excel in their specialty. That gives us the advantage to use companies who have specialized in their areas of expertise, while we can still offer the service of going to one resource to for all your needs. All of the big name suppliers use other sources to supply a portion of their equipment, powders, and wires; they just do not tell you that. We are affiliates of the various companies that have specialized in specific niches of the thermal spray industry, which include combusiton wire, combustion powder, electric arc, HVOF, cold spray, or plasma. Direct all technical resposibilities including the mill metallugists, research metallurgists, and the labrotoies for research and production support. Identify opportunities and initiate new applications of advanced aerospace materials to non traditional applications. The results of this effort included successful applications in NASCAR, Formula 1, CART, and Snowmobile racing. Additionally advanced materials and processing used in medical applications. This represented 50% of the new growth initiatives for Dynamet. Implement continuous improvement initiatives in a manufacturing environment. The results of this were implementing pull manufacturing techniques, six sigma black belt projects, and problem solving techniques aimed at manufacturing initiatives, and projects to improve yield by 2% for titanium billet, coil and bar processing. Maintain an ISO 9002/AS9100 Quality System. The results of this activity included reaccredidation of the ISO certification. Developing a repair process for Harley Davidson gas tanks with a projected savings of $250,000/yr. Director, Coating Operations,(1994–1997) Staff leadership role for manufacturing, sales and engineering. Responsible for the oversight of all laboratory functions as related to materials control and process control, including optical metallography, scanning electron microscope, wet chemistry lab, atomic absorption, non-destructive testing, failure analysis, and X-ray analysis.